Calendula ‘Indian Prince’ & Calendula ‘Art Shades’. I was shabby well before it was chic. Great Uncle Kit was unusual in that he lived in a crashed WW2 Wellington bomber, downed after a night bombing raid over Germany in the spring of 1942. Kit who was nineteen had the role of the rear gunner…when the crew all safely came around after the crash, Kit decided that this war thing was a wholly unacceptable state of affairs and decided that a chap would be far better off growing flowers and giving them to pretty, bright young things rather than flapping about in the night sky doing all the killing and the maiming nonsense. The aircraft had come down in a Wiltshire field and where the ground had been churned up by the fuselage, Kit sowed a swath of Calendula…he became quite a famous character in the west country…he would tend his field of flowers wearing his parachute silk pyjamas and lived until a ripe old age, always surrounded by a charm of the most beautiful maidens in all of Wiltshire. In his notes Kit tells us that he found Calendula ‘Indian Prince’ and ‘Art Shades’ to be his preferred Calendula for cutting. ‘Indian Prince’ is clearly the more exotic of the two…the petals have a deep orange almost spicy vibe about them…and the reverse of the petals are…well….perhaps you could call it a ‘crimson mahogany’…very striking creatures indeed. ‘Art Shades’ take the role of being more ‘Little House On The Prairie’ and the range of colours is more in the pallet of straw coloured…and apricot…and cream coloured flowers. They are more subtle than ‘Indian Prince’. 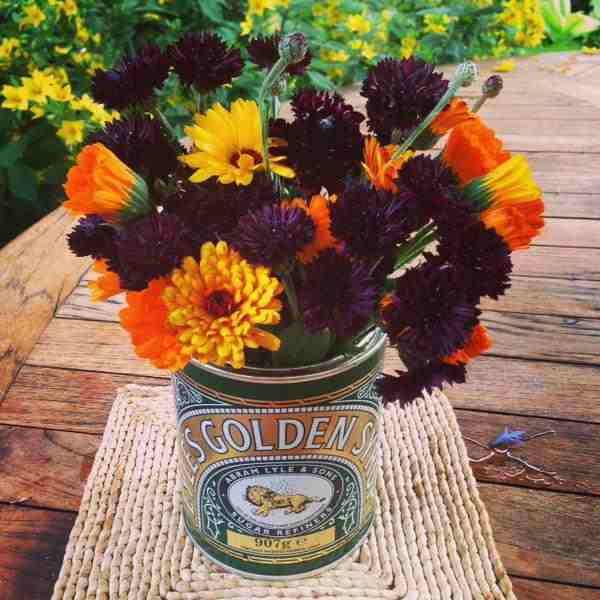 Calendula with Cornflowers ‘Black Ball’…thx to Karina for sending this one. Like Uncle Kit I grow swathes of both of them…few flowers have such simple beauty and they are amongst the most prolific of all the plants in the cutting patch, producing heaps and heaps of flowers which keep coming as you harvest them. 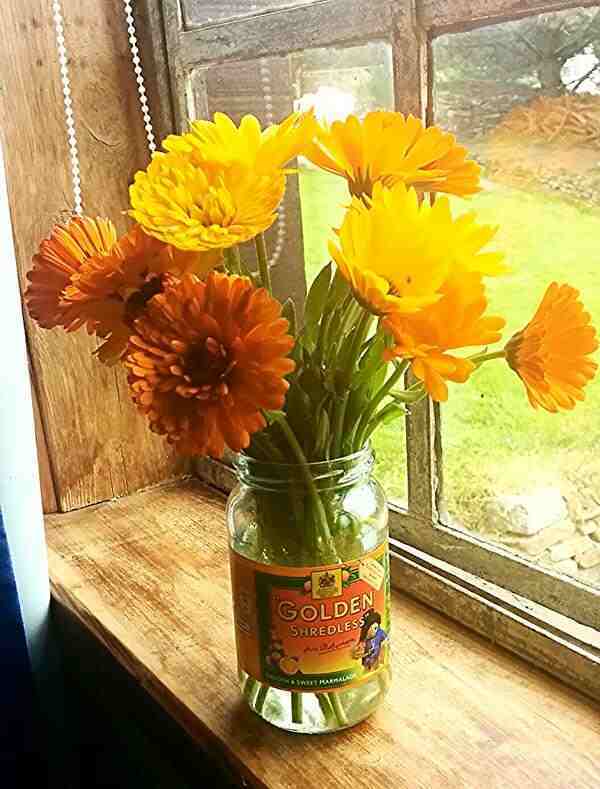 Ten Top Tips For Growing Calendula. *As per usual make super sure that your proposed bed is properly dug over and all trace of weeds removed….gone….finished…no more…. *Calendula will grow best in a sunny spot in free draining soil. *I sow the first batch of my Calendula Officinalis in September for an early flowering the following year…then some undercover at the beginning of April…one can direct sow from mid April when the soil has warmed up…you CAN sow earlier than this but there is little to be gained in my opinion. 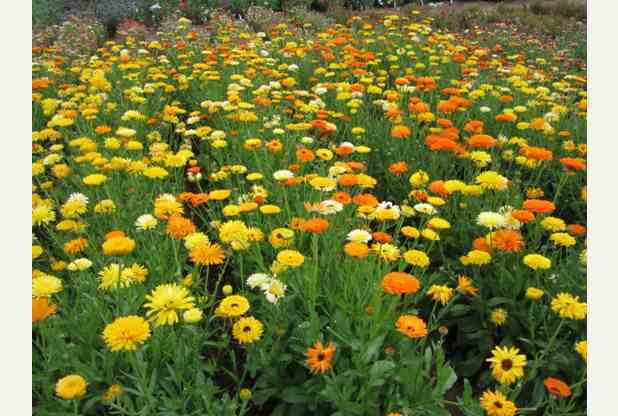 *If sowing calendula in your cut flower patch you will want to sow in straight rows…bury the seeds no more than a cm deep and keep the soil moist whilst they become established. *Thin out the seedlings to about a foot…you can transplant the ones that are too close to another part of the plot if you have gaps…I love having mixed beds in the cut flower garden…this help reduce the spread of disease too. *Mulching around the plants will help keep the moisture in and keep your beds weed free. 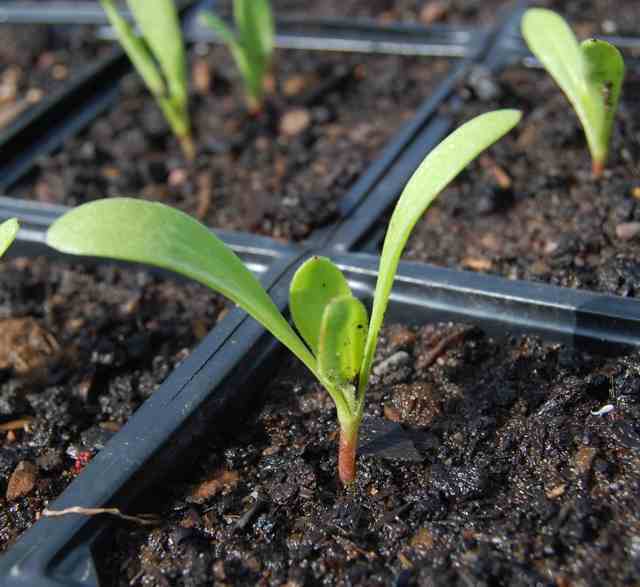 *Spring sowings will take 10 – 12 weeks to flower. 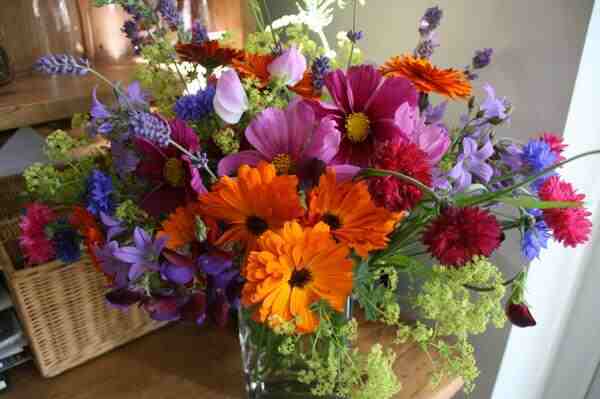 In the vase calendula will last about a week…try it with Cornflowers ‘Blue Ball‘…’Black Ball‘…Cosmos ‘Purity’ & Ammi Majus…all these work really well…but on the whole you will find Art Shades and Indian Prince really versatile addition to your cut flower garden. Calendula can be found in my ‘Bee Friendly‘ seed collection. Equinox Sowing….it begins! Germinating Salvia viridis (Annual Clary) ‘Blue Monday’.